We're happy to send you a complimentary copy of our Visitors Guide. Please take a few moments and tell us more about you. 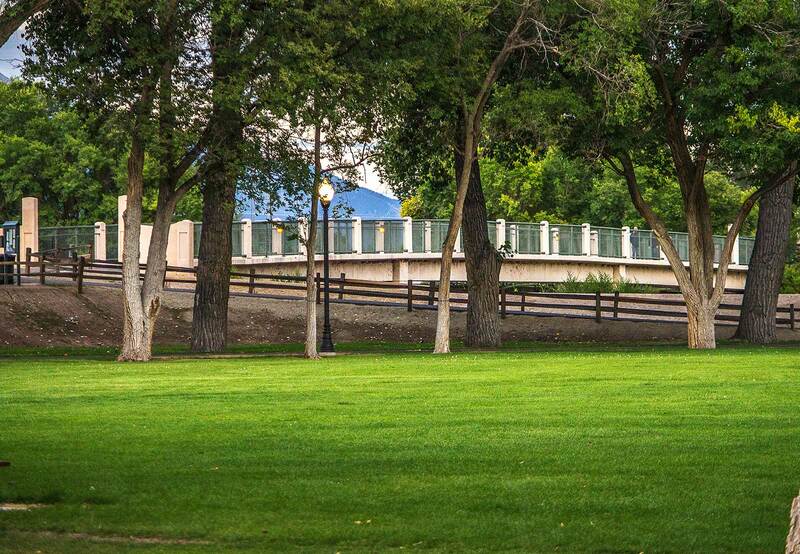 We look forward to helping you plan your own Alamosa adventure. Planning your Alamosa adventure, meeting or event is easy with our Official Travel Planner and eNewsletters. With the Official Travel Planner to Alamosa, Colorado, planning is made easy with maps, listings, articles, and photos along with lodging and dining guides. Great Sand Dunes National Park - home of the tallest dunes in North America, and one of Colorado's most popular family vacation destinations - is right next to Alamosa. 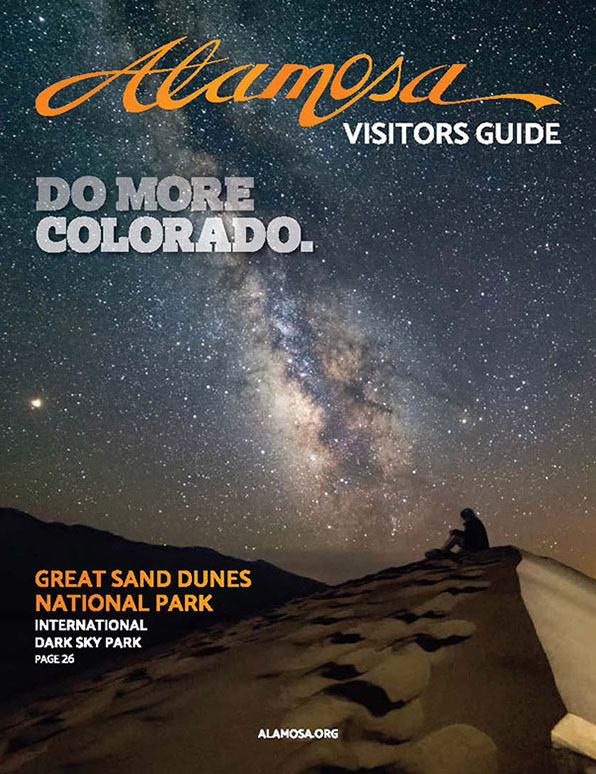 You can learn all about this amazing natural formation inside the guide, and how to make Alamosa your perfect base camp to explore. 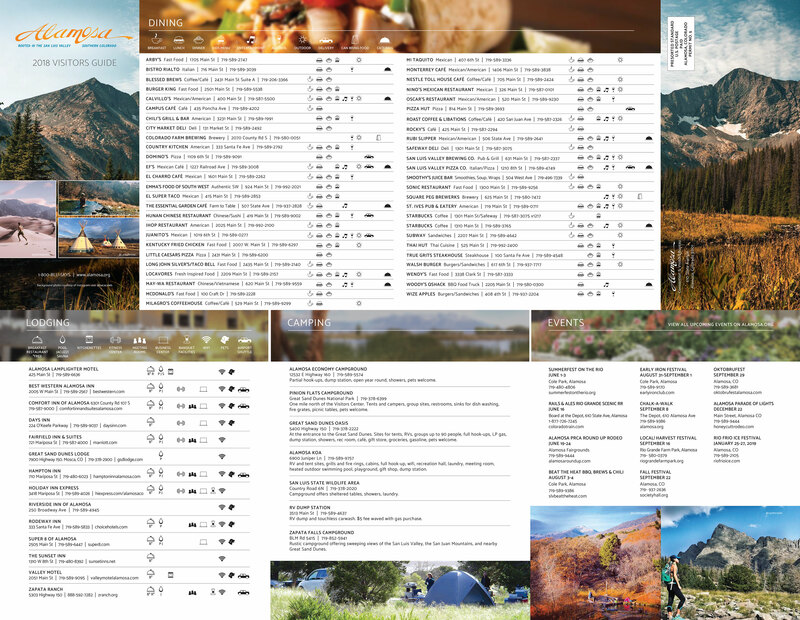 The Alamosa Vistors Guide will be mailed directly to you, free of charge, so you can take your time planning your next adventure. If you also choose, every month you'll receive updates on Alamosa's latest and greatest events, itineraries, travel offers and seasonal stories through our eNewsletter. Every month you'll receive updates on Alamosa's latest and greatest events, itineraries, travel offers and seasonal stories through our newsletter. Send me the events newsletter! This is a weekly events newsletter showcasing the next week's upcoming and most interesting events in and around Alamosa. Now available in a digital format! Don't want to wait? Would you like to conserve some paper? Would you like to have a digital format of the planner on your smartphone or tablet? 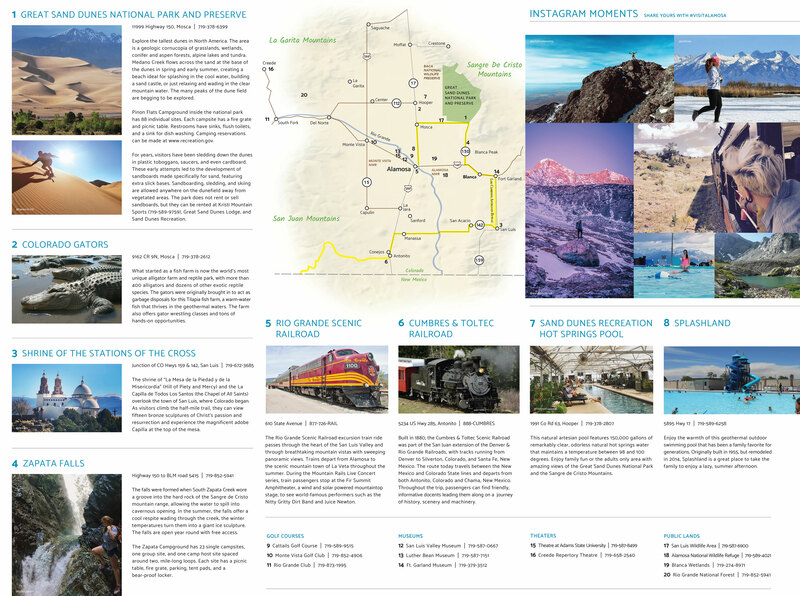 Click here to download the PDF version of the Alamosa, Colorado Official Travel Planner.